Stefan George, Gedichte. ; Salvatore Quasimodo, The Poems of Catullus. ; Rubén Darío, Poesía. The Latin poet Catullus was born at Verona, Italy, around 84 BCE. He moved to Rome as soon as he could, and pursued a career as a lyric poet. He and his friends were the avant-garde of the period both in their lifestyles and their literary productions. Catullus's wit, family wealth, and talent gave him entree to the high society of his time. He spent one year as an assistant to the governor of the province of Bithynia in modern Turkey. Catullus died young, in 54 BCE, probably at Rome. Itʻs doubtful that the picture shown on the upper left of this page even purports to be a picture of Catullus. 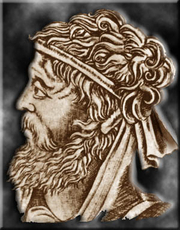 Men didnʻt wear beards in his time, and the picture is in any case of a much older man; Catullus died at about 30. Catullus is currently considered a "single author." If one or more works are by a distinct, homonymous authors, go ahead and split the author. Catullus is composed of 30 names. You can examine and separate out names.